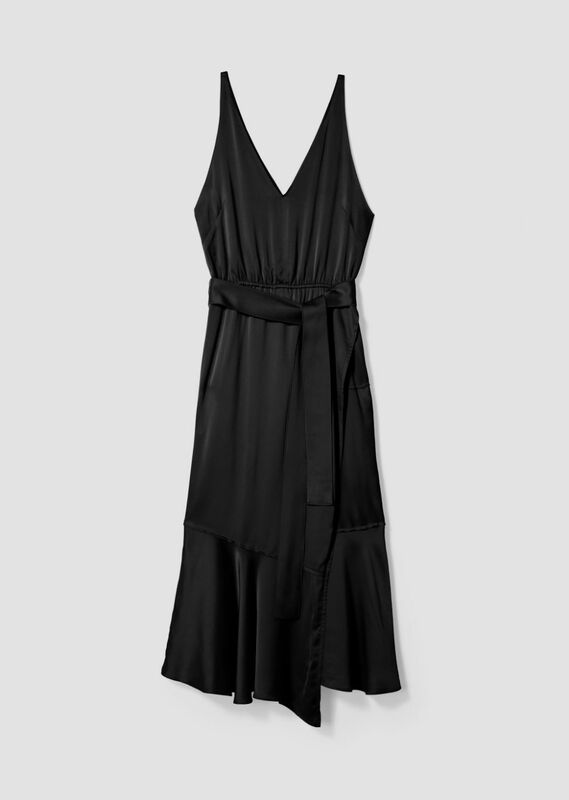 Sleeveless midi camisole dress in liquid black satin with self-tie waist belt and asymmetric flutter hem. V-neckline with skinny straps. Tonal stitching. Imported.